"Chav" (/tʃæv/ CHAV) ("charver" in parts of Northern England) is a pejorative epithet used in the United Kingdom to describe a particular stereotype of anti-social youth dressed in sportswear. The word was popularised in the 2000s by the British mass media to refer to an anti-social youth subculture in the UK. The Oxford English Dictionary defines "chav" as an informal British derogatory, meaning "a young lower-class person who displays brash and loutish behaviour and wears real or imitation designer clothes". The derivative chavette has been used to refer to females, and the adjectives chavvy, chavvish and chavtastic have been used in relation to items designed for or suitable for use by chavs. Opinion is divided on the origin of the term. "Chav" may have its origins in the Romani word "chavi", meaning "child". The word "chavvy" has existed since at least the 19th century; lexicographer Eric Partridge mentions it in his 1950 dictionary of slang and unconventional English, giving its date of origin as c. 1860. The word in its current pejorative usage is recorded by the Oxford English Dictionary as first used in a Usenet forum in 1998 and first used in a newspaper in 2002. By 2005 the term had become widespread in its use as to refer to a type of anti-social, uncultured youth, who wear a lot of flashy jewellery, white trainers, baseball caps, and sham designer clothes; the girls expose a lot of midriff. In his 2011 book, Chavs: The Demonization of the Working Class, Owen Jones surmised that the word is an attack on the poor. In the 2010 book Stab Proof Scarecrows by Lance Manley, it was surmised that "chav" was an abbreviation for "council housed and violent". This is widely regarded as a backronym, a constructed acronym created to fit an existing word. This interpretation of the word was used in a 2012 public statement by Rapper Plan B as he spoke out to oppose the use of the term. People talk about "chav behaviour" or "chav insults" and that sort of thing. Oh, don't believe the popular etymologies that you read sometimes in the press and on websites. I saw one the other day, people said, "It's an acronym, 'chav', from 'council house and violent'"—well, no, it isn't, that was made up in recent times. Besides referring to loutish behaviour, violence, and particular speech patterns, the chav stereotype includes wearing branded designer sportswear, which may be accompanied by some form of flashy gold jewellery otherwise termed as "bling". They have been described as adopting "black culture", and use some Jamaican patois in their slang. In a case where a teenage woman was barred from her own home under the terms of an anti-social behaviour order in 2005, some British national newspapers branded her "the real-life Vicky Pollard" with the Daily Star running headlines reading, "Good riddance to chav scum: real life Vicky Pollard evicted", both referring to a BBC comedy character. Created by radio host Matt Lucas for the show Little Britain, the character Vicky Pollard is a teenage girl intended to parody a chav. A 2006 survey by YouGov suggested 70% of TV industry professionals believed that Vicky Pollard was an accurate reflection of white working-class youth. The same year, Prince William of Wales wore a chav outfit for a fancy dress photograph marking the completion of his first term at Sandhurst military academy, resulting in headlines in The Sun newspaper naming him "Future Bling of England". The article quoted a cadet as saying, "William has a great sense of humour and went to a lot of trouble thinking up what to wear". Response to the stereotype has ranged from amusement to criticism, with some saying that it is a new manifestation of classism. The Guardian in 2011 identified issues stemming from the use of the terms "hoodies" and "chav" within the mass media, which had led to age discrimination as a result of mass media-created stereotypes. In 2005 the fashion house Burberry, whilst deriding chavs, claimed that the widespread fashion in the UK of chavs wearing its branded style (Burberry check) was due to the widespread availability of cheaper counterfeit versions. In 2008, in response to the continuing rise in popularity among chavs of the Burberry brand, Christopher Bailey, who was responsible for the company’s image, said "I'm proud we had such a democratic appeal." The large supermarket chain Asda has attempted to trademark the word "chav" for a line of confectionery. A spokeswoman said, "With slogans from characters in shows such as Little Britain and The Catherine Tate Show providing us with more and more contemporary slang, our "Whatever" sweets – now nicknamed chav hearts – have become very popular with kids and grown-ups alike. We thought we needed to give them some respect and have decided to trademark our sweets." A BBC TV documentary suggested that chav culture is an evolution of previous working-class youth subcultures associated with particular commercial clothing styles, such as mods, skinheads, and casuals. In a February 2005 article in The Times, Julie Burchill argued that use of the word is a form of "social racism", and that such "sneering" reveals more about the shortcomings of the "chav-haters" than those of their supposed victims. The writer John Harris argued along similar lines in a 2007 article in The Guardian. The widespread use of the "chav" stereotype has been criticised. Some argue that it amounts to simple snobbery and elitism. Critics of the term have argued that its users are "neo-snobs", and that its increasing popularity raises questions about how British society deals with social mobility and class. The Fabian Society considers the term to be offensive and regards it as "sneering and patronising" to a largely voiceless group. On describing those who use the word, the society stated that "we all know their old serviette/napkin, lounge/living room, settee/sofa tricks. But this is something new. This is middle class hatred of the white working class, pure and simple." The Fabian Society have been highly critical of the BBC in using the term in broadcasts. Use of the term 'chav' was reported in The Guardian in 2011 as "class abuse by people asserting superiority". By 2004, the word was used in national newspapers and common parlance in the UK. Susie Dent's Larpers and Shroomers: The Language Report, published by the Oxford University Press, designated it as the "word of the year" in 2004. Characters described as "chavs" have been featured in numerous British television programmes, as well as films. The character, clothing, attitude and musical interests of Lauren Cooper and her friends in the BBC comedy series, The Catherine Tate Show, have been associated with the chav stereotype. The comedy series Little Britain features a character intended as a chav parody, Vicky Pollard. In the British television series Misfits, the character of Kelly Bailey is presented as a stereotypical "chav". Lauren Socha, the actress who portrays Kelly, has described the character as being "a bit chavvy". The Times has referred to the character as "[a] chavvish girl", and the character has been said to possess a "chav accent". In the "New Earth" episode of the BBC TV series Doctor Who, the character Lady Cassandra is transplanted into Rose Tyler's body (Billie Piper). When Cassandra sees herself in a mirror, she exclaims "Oh my God... I'm a chav!" In Kingsman: The Secret Service, the main character Eggsy Unwin (Taron Egerton) is introduced as a stereotypical chav. ^ "Definition of chav in Oxford Dictionaries (British & World English)". Retrieved 30 May 2013. ^ a b c "Stop using chav: it's deeply offensive". Archived from the original on 12 January 2012. Retrieved 30 May 2013. ^ a b c Crystal, Professor David. "Keep your English up to date Chav". Keep Your English Up To date. BBC World Service. Retrieved 1 October 2013. ^ a b Heath, Olivia (19 June 2011). "Neets, asbos and chavs: labels of age discrimination". The Guardian. Retrieved 13 April 2012. ^ "Oxford Dictionaries". Oxford University Press. Retrieved 10 September 2013. ^ "The Sunday Night Project with Lily Allen: Chavette to Lady". Retrieved 17 April 2011. [Etiquette expert Liz Brewer] is going to change them from chavette into perfect ladies. ^ a b "UK | 'Asbo' and 'chav' make dictionary". BBC News. 8 June 2005. Retrieved 13 August 2011. ^ a b Quinion, Michael. "Chav". Retrieved 23 February 2009. ^ Dictionary of Slang and Unconventional English (Third ed.). New York: The MacMillan Company. 1950. p. 143. ^ a b "Why is 'chav' still controversial?". BBC. 3 June 2011. Retrieved 14 April 2012. ^ "Why is 'chav' still controversial?". BBC News. Retrieved 9 September 2013. ^ Manley, Lance (2010). Stab Proof Scarecrows, A Memoir Looking at Policing in the UK from a Trainee's Perspective. Leicester, England: Matador, Troubador Publishing Ltd. p. 369. ISBN 978-1-84876-297-8. ^ Holden, Steve. "Plan B criticises word chav ahead of Ill Manors release". BBC. Retrieved 16 April 2012. ^ Atkinson, Michael; Young, Kevin (18 June 2008). Tribal play: subcultural journeys through sport. Emerald Group Publishing. p. 265. ISBN 978-0-7623-1293-1. Retrieved 12 August 2011. ^ a b Larcombe, Duncan (10 April 2006). "Future bling of England". The Sun. London. Archived from the original on 2 June 2011. Retrieved 25 September 2018. ^ Nisha Kapoor (28 June 2013). The State of Race. Palgrave Macmillan. pp. 50–. ISBN 978-1-137-31308-9. ^ "No but yeah but no". The Guardian. 12 May 2005. Retrieved 13 April 2012. ^ a b John, Harris (11 April 2006). "Bottom of the Class". The Guardian. London. Retrieved 24 February 2007. ^ King, Ian (12 January 2005). "Burberry not chavin' it". The Sun. London. Archived from the original on 24 October 2012. ^ Jones, Liz (2 June 2008). "The luxury brand with a chequered past, Burberry's shaken off its chav image to become the fashionistas' favourite once more". Daily Mail. Retrieved 13 April 2012. ^ "Asda tries to trade mark "chav"". AOL NEWS. Archived from the original on 11 October 2007. ^ "Loud and Proud - The Street Look". British Style Genius. Season 1. Episode 5. 4 November 2008. 59 minutes in. BBC. ^ Burchill, Julie (18 February 2005). "Yeah but, no but, why I'm proud to be a chav". The Times. London. ^ Harris, John (6 March 2007). "So now we've finally got our very own 'white trash'". The Guardian. London. ^ Hayward, Keith; Yar, Majid (2006). "The 'chav' phenomenon: Consumption, media and the construction of a new underclass". Crime, Media, Culture. 2 (1): 9–28. doi:10.1177/1741659006061708. ^ Hampson, Tom (15 July 2008). "Ban the Word Chav". The Guardian. London. ^ Bennett, Oliver (28 January 2004). "Sneer nation". The Independent. London. ^ a b BBC (16 July 2008). "Stop use of 'Chav' – think tank". BBC. Retrieved 13 April 2012. ^ Toynbee, Polly (31 May 2011). "Chav: the vile word at the heart of fractured Britain". Fostering the loathing of a feral underclass allows public resentment to be diverted from those above to those below. Retrieved 14 April 2012. ^ Noel-Tod, Jeremy (3 April 2005). "Colourful whitewash". The Times Literary Supplement. London. Retrieved 30 May 2007. ^ Dent, Susie (2004). Larpers and shroomers: the language report. Oxford University Press. ISBN 978-0-19-861012-0. ^ "'Chav-free holidays' cause outrage". Metro. 26 January 2009. Retrieved 15 November 2009. ^ McConnell, Donna (19 November 2007). "Queen of chavs: Kate dresses as 'Vicky Pollard' for pal's 80s birthday bash". Daily Mail. London. Retrieved 15 November 2009. ^ "Misfits – Kelly". E4.com. Retrieved 24 November 2011. ^ "Lauren likes her Misfits character". Metro. 11 November 2009. Retrieved 23 November 2011. ^ Gray, Sadie. "Misfits review by The Times". The Times. Retrieved 23 November 2011. ^ Laws, Rob (21 November 2010). "Misfits star Lauren Socha reveals why she's changing her accent". Sunday Mercury. Archived from the original on 17 November 2011. Retrieved 23 November 2011. ^ "New Earth". Doctor Who. Season 2. Episode 168. 15 April 2006. BBC. ^ Lawson, Richard (12 February 2015). "Kingsman: The Secret Service Is Crazy Violent, and Endlessly Entertaining". Vanity Fair. Retrieved 4 December 2017. Keith Hayward and Majid Yar (2006). "The "chav" phenomenon: Consumption, media and the construction of a new underclass". Crime, Media, Culture. 2 (1): 9–28. doi:10.1177/1741659006061708. Jones, Owen (2011). Chavs: The Demonization of the Working Class. Verso. ISBN 978-1844676965. Look up chav in Wiktionary, the free dictionary. Wikimedia Commons has media related to Chavs. Professor David Crystal, BBC World Service, Learning English, Mp3. Plan B. Youth, music and London at TEDxObserver. Little Britain is a British character-based sketch comedy that was first broadcast on BBC radio and then turned into a television programme. It was written and performed by comic duo David Walliams and Matt Lucas. The programme's title is an amalgamation of the terms 'Little England' and 'Great Britain', and is also, coincidentally, the name of a Victorian neighbourhood and a modern street in London. Bogan is Australian and New Zealand slang for a person whose speech, clothing, attitude and behaviour are considered unrefined or unsophisticated. Depending on the context, the term can be pejorative or self-deprecating. The prevalence of the term bogan has also been associated with changing social attitudes towards social class in Australia. Specifically, the term has been related to the decline of masculine conceptions of meritocracy in Australia, and a growing ambivalence towards traditional sites of working class culture. 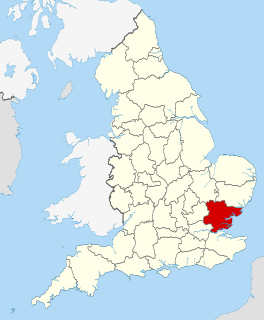 Essex girl, as a pejorative stereotype in the United Kingdom, applies to a female viewed as promiscuous and unintelligent, characteristics jocularly attributed to women from Essex. It is applied widely throughout the country and has gained popularity over time, dating from the 1980s and 1990s. Owen Peter Jones is an English newspaper columnist, political commentator, and left-wing political activist. He writes a column for The Guardian and contributes to the New Statesman and Tribune; he previously contributed to The Independent.